I met podcaster and Something from Nothing founder, Justin Lewis at my artist talk back in September 2017. Justin approached me after the talk and asked if I was interested in being a guest on his podcast. I agreed and we planned to meet the next day in the Yeiser Art Center and had an interview in the exhibition space. It’s been months since the interview and today the episode was uploaded! 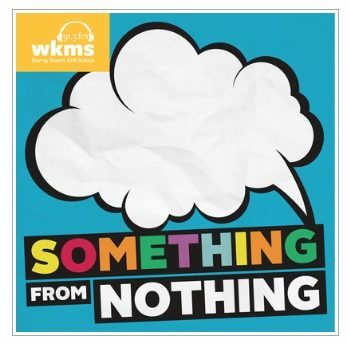 Thank you to Justin Lewis for the interest and invitation to be a featured guest, Chad Lampe –Something from Nothing producer, Something from Nothing podcast for allowing a platform to tell my story regarding the Liminal Identities exhibition. Thank you to Stacey Reason, Executive Director of the Yeiser Art Center and Matt Johnson, the Yeiser Administrative Assistant for the amazing exhibition experience and installation help!